What makes working at Aarki so special is being part of a team of exceptionally brilliant, ingeniously creative, and friendly people. To get to know more about our colleagues, we will feature a new team member every month. Who’s on this month's spotlight? I am Gevorg Horomyan, Software Engineer at Aarki. I am working on partner integrations, as well as making sure things work as expected with the constant growth of the company. What drew you to Aarki originally? I joined Aarki in 2013. At that time, Aarki had a small team of engineers. Being long-time friends with some of them, I knew that each and every person is very smart and ambitious. I considered myself lucky enough to become a part of that team. What has been the most important innovation you have witnessed in Aarki? The platform where you can create outstanding creatives, run them on every major Ad Exchange and track their performance real-time - all this can be done in a single platform. I think that's a real breakthrough for a DSP. What sorts of industry trends do you see? As for any other industry, machine learning is taking momentum in ads too. Having a fully automated system capable of making right decisions is the key to success in the near future. What do you think is Aarki’s biggest opportunity in 5 years? Creating that fully automated system is Aarki's biggest opportunity. What is your proudest moment at Aarki? There is no single proudest moment at Aarki. During these 4 years, Aarki has changed me a lot; I am who I am partly because of Aarki. How would you describe Aarki culture? Aarki is a big friendly family where we can rely on anyone with any problem. The working environment also drives us to critical thinking and innovation. How would you describe the best place you’ve travelled by far? Remote mountains of my homeland - intact nature, no technology, nothing to worry about but to live the moment. My family, my freedom, and obviously oxygen. I rarely read fiction books. If I read something, that's probably an article on the internet. I can wander on Wikipedia from topic to topic for hours - starting from some exotic animal and ending up on a tank battle during WWII. If given a chance, who would you like to be in a day? An alien living in a completely different planetary system. What is an ability you wish you have? I wish I could distinguish the truth from a lie. You’d like to be famous for? I'd like to be famous for what I am the best at - software. When I am with my family. 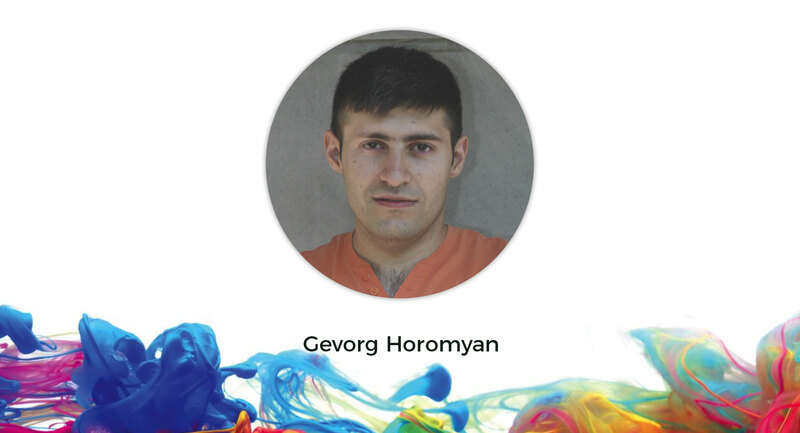 Gevorg has a PhD of Computer Science and has been in the mobile advertising industry for four years. His strong programming and analytical skills enable him to stand out from the crowd and have an outstanding contribution in Aarki's growth.